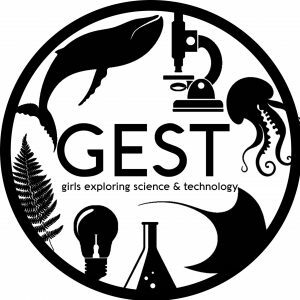 Girls Exploring Science & Technology (GEST) is a collaborative event intended to expose middle school girls (6th-8th grades) to STEM resources, role models, and activities in Eastern North Carolina (ENC). We are bringing together researchers from a number of STEM institutions in ENC to inspire middle school girls to become our next generation of scientists and engineers. GEST is a one-day event at the Duke University Marine Laboratory. Girls will rotate through activities led by local researchers throughout the day, with each activity representing a different STEM field. The day will conclude with a panel discussion led by female scientists and an instructional workshop about preparing for futures in STEM. Girls Exploring Science & Technology is an inclusive event, welcoming participation from all female-identifying and gender nonconforming students. Girls Exploring Science & Technology is powered by WordPress at Duke WordPress Sites. Please read the Duke Wordpress Policies. Contact the Duke WordPress team.